When the weather outside is horrible this slice of sci-fi fantasy is the perfect escape. Thrust into the life of Clevon Demarco as he is given an offer he cannot refuse, the reader can travel through space discovering vivid and exciting worlds that they couldn't even imagine. Shami Stovall's flair for creating highly detailed settings pulls the reader into the fictional world and lets them explore it all alongside the characters. The protagonist has been so skillfully crafted that it's impossible to not love him, even with his brash horndog nature. Demarco is the perfect protagonist, as one of the very limited number of genetically altered humans and a criminal he finds himself somewhat as an outcast when he joins the crew of the Star Marque. Stovall lets the reader follow him has he tries to find his true self and place in the new world that the ship and crew have opened up for him. Pure enjoyment will come to the reader as they watch Demarco grow and change how he reacts to the action within the story. Stovall doesn't stop there when it comes to her characters, with a myriad of characters from superhuman and the genetically altered to humans and those with defects all have beautifully crafted personalities which has the reader almost immediately connecting with each and every one of them. The author interweaves character and plot back stories with the main storyline to create a wonderfully creative multilayer novel that has the reader gripped from the very beginning. The reader gets to know every character in unparalleled detail and watch as they attempt to deal with increasingly more perilous situations and the novel goes on. Star Marque Rising is bursting with detailed action scenes, everything from space battles to gunfights and hand to hand combat. Shami Stovall creates such vivid images in the reader's mind through her carefully crafted writing that it is possible to feel every hit and even fear for the character's lives. An interesting addition to Stovall's story is the moral quandaries that the characters, specifically Clevon Demarco, go through within the story, sometimes having to choose between their loyalties, their duty and their morals. Stovall must be very good at keeping secrets because she spoils nothing throughout the narrative. Even the twists in the tale are kept under lock and key making it a complete surprise to the reader. This shows true talent from the author to blend layered character development, action and back stories without giving away too much of the plot at once; this novel is a truthfully captivating read. This story is full of drama, adventure and danger, to simply label it as a simple sci-fi novel does Stovall's writing an injustice. 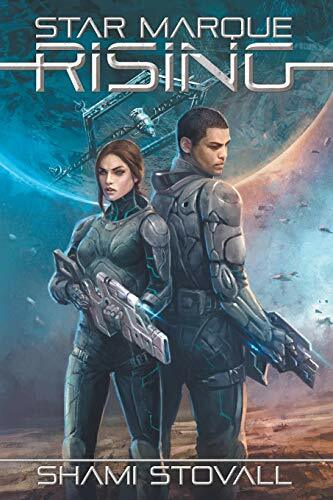 Star Marque Rising is so much more than a traditional science fiction novel, and this is all due to Stovall's skillful and creative writing. Even those who generally do not overly gravitate towards sci-fi fiction will be hooked and left on the edge of their seat begging for more. Those who wish for a gripping multi-layered action packed novel should look no further than Star Marque Rising. "As if on cue, the door to the conference room opened. Endellion stood, her jaw tight, and her shoulders squared. Everyone else followed suit, and I did the same. For the first time in a long time, nerves got the better of me, and I found myself tense." Shami Stovall grew up in California's central valley with a single mother and little brother. Despite no one in her family having a degree higher than a GED, she put herself through college (earning a BA in History), and then continued on to law school where she obtained her Juris Doctorate. As a child, Stovall enjoyed every portal fantasy, space opera, and magic series she could get her hands on, but the first novel to spark her imagination was Island of the Blue Dolphins by Scott O'Dell. The adventure on a deserted island opened her mind to ideas and realities she had never given thought before—and it was the moment Stovall realized that story telling (specifically fiction) became her passion. Anything that told a story, especially fantasy series and military science fiction, be it a movie, book, video game or comic, she had to experience. Now, as a professor and author, Stovall wants to add her voice to the myriad of stories in the world. 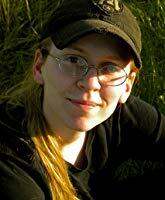 Everything from sorcerers, to robots, to fantasy wars--she just hopes you enjoy. Connect with her on her site or via email.